The Returning Officer stated that District Election Office, Imphal East have submitted a report along with video footage stating that the speech as quoted in the application is found in the footage. The Returning Officer (RO) of Inner Manipur Parliamentary constituency, Naorem Praveen has issued a show cause notice to Manipur’s Chief Minister’s office for alleged violation of Election Commission’s Model Code of Conduct by the state chief minister Nongthombam Biren Singh who gave defamatory speeches against Congress candidate O. Nabakishore Singh. The notice addressed to the Salam Ranjan Singh, the Chief Minister’s personal secretary, has directed the office to give explanations before April 17, failing which it cautioned to proceed the matter as ‘ex parte’. 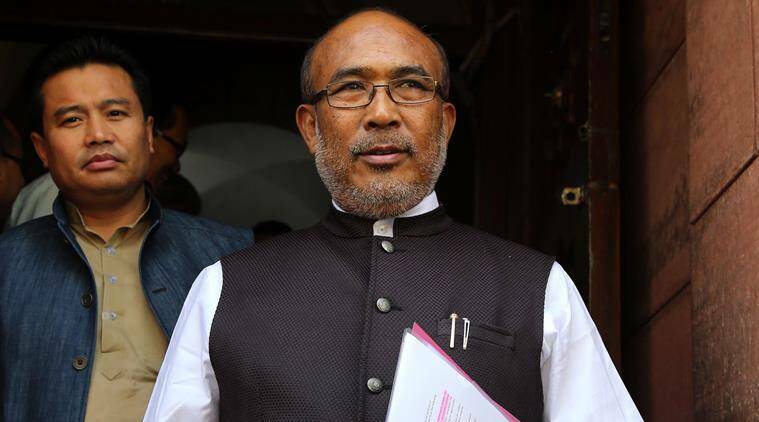 O. Nabakishore, the former chief secretary of Manipur, is contesting from the inner parliamentary constituency which will go to poll on April 18. Nabakishore in his complaint asserted that the CM had made personal attacks on him in a BJP political conference held on March 29 at Yumnam Khunou, in Imphal East district. The statement made by Chief Minister N. Biren Singh was defamatory, which may tarnish his image and mislead the voters, alleged Nabakishore. The statement reproduced in the notice, Biren made the reference of former chief secretary Nabakishore who was removed unceremoniously. Explaining that Nabakishore was removed for being involved in scandals, Biren questioned why anyone would side those who are involved in anti-people activities. The RO stated that District Election Office, Imphal East have submitted a report along with video footage stating that the speech as quoted in the application is found in the footage. On Tuesday, Nabakishore reacted that it must be the first time in the annals of the history of the state, that a CM has been served a show cause notice for violations of model code of conduct while terming the issue as a shameful affair. Nabakishore was replaced by RR Rashmi, the former CEO of Manipur, soon after the BJP led Government came to power in Manipur. Nabakishore was transferred as the director general, State Academy of Training. Even as the replacement drew flak from different corners, Nabakishore opted for voluntary retirement.